We now know the two teams who are going to take part in the Eurocup Final later this month and the second leg of the two semi-finals were hugely entertaining and exciting matches. The two losing teams came very close to achieving a very different outcome and if the games in the final are as exciting as these two games, European basketball fans have a lot to look forward to. There was an outstanding second leg in Spain with overtime being needed to separate the two sides. On the evening, it was a big win for the hosts but it was the away team that squeezed through to the Eurocup Final by just one point! The Turkish side held an aggregate lead for most of the evening but in the fourth quarter, an 8-0 scoring run saw the hosts move ahead on the night and tie the aggregate score. This was the case with four minutes to go and with a minute on the clock, the Spaniards were going to the final as DJ Seeley put them ahead. However, with just 2.1 seconds left on the clock, Vladimir Micov struck to send the game into overtime. In overtime, Errick McCollum made a total of three free throws in the final minute and with less than twenty seconds on the clock, the Turkish side were one point ahead. 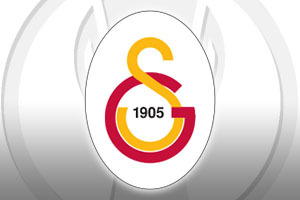 The hosts had one final drive, delivered the ball to Albert Oliver and just when it looked like being a fairy-tale ending for the hosts, Micov blocked the shot and Galatasaray were through. Micov ended with 21 points and 7 rebounds but it is probably that single block that won the game. McCollum provided 16 points, Stephane Lasme offered up 11 points and Chuck Davis grabbed 9 points. For the hosts, DJ Seeley provided 23 points, Alen Omic grabbed 16 points and Kevin Pangos offered up 14 points on a big night that ended in despair for the home team. The French side grabbed a massive win on the night, allowing them to win the aggregate score by two points. 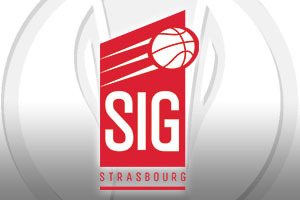 This saw Strasbourg become the first French side to make the Eurocup Final and the hosts failed to go all the way in their debut season in the tournament. The away team were one point ahead on the night at half-time but they still trailed on aggregate, but they delivered a huge third quarter and pressed home from that point. At one stage, the French side were 19 points clear on the night, 13 clear on aggregate, and with 6 minutes left of the game, it looked to be a straightforward conclusion to the evening. The hosts battled back though and the aggregate score was tied with less than a minute on the clock. With 14 seconds left, a three-point effort from Romain Duport put the away side ahead by 4 and although Julian Wright grabbed three points in return seconds later, time ran out on the hosts with a Davide Pascolo ambitious effort just falling short as the game ended. Duport and Mardy Collins both managed to grab 20 points each in the win, Bangaly Fofana offered up 13 points and Kyle Weems provided 10 points in the win. Davide Pascolo provided 22 points and 13 rebounds for a double-double in the loss while both Wright and Trent Lockett grabbed 16 points each in the defeat. In the end, it was the away fans that were celebrating at the end of both games on Wednesday night.